Our range contains (certified) work clothing. 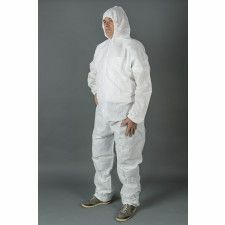 If in work situations ordinary work clothing does not offer sufficient protection against certain weather conditions or chemicals or if there is another danger of injury or damage to health, protective certified clothing must be worn. Certified clothing can meet different EN standards. The regulations start with the European Standard EN ISO 13688, which describes the general requirements and test methods. View the different EN standards below. The term corporate clothing is a collective term for all clothing that makes working safer or easier, has been made obligatory by the government or is worn at a company for the propagation of a uniform and representative appearance. Work clothing offers protection against dirt and ensures that the undergarments are not damaged. 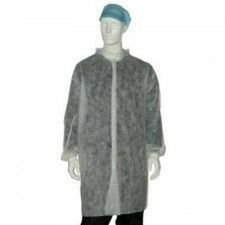 It also offers protection against heat, cold or chemicals. Some work requires reflective clothing, so that the employees are sufficiently visible during the work. The general characteristic of industrial clothing is that the clothing is worn during various activities. Depending on the work, different work clothes are required, which must meet different EN standards.  Below you will find an overview of the most important standards that apply to company clothing. 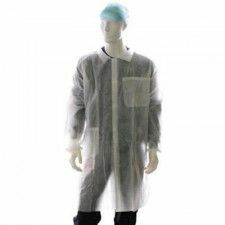 EN ISO 13688 Protective clothing: general requirements that protective clothing must meet. AND 343: 2003 + A1: 2007: protective clothing against the rain. This symbol has the symbol as an umbrella, with two values: X-value for the attendee density and the Y-value for vapor permeability. AND 14058: 2004: protective clothing against cool conditions. AND 342: 2004 + C1: 2008: protective clothing against cold and low temperatures. EN ISO 20471: 2013 + A1: 2016: warning clothing with high visibility. Test methods and requirements. EN ISO 14116: 2015: protective clothing against flames. Materials, composite materials and clothing with limited flame spread. 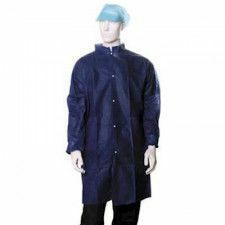 EN ISO 11612: 2015: protective clothing against heat and flames. Minimum performance requirements. EN ISO 11611: 2015: protective clothing for use in welding and related processes. 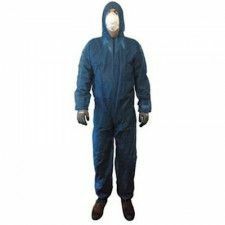 AND 1149: protective clothing with electrostatic properties. To prevent fire and explosions. AND IEC 61482-1-2: 2015: protective clothing against the thermal hazards of an electric arc. IN 13034: 2005 + A1: 2009: protective clothing against liquid chemicals type 6 of PB (6). AND 14605: 2005 + A1: 2009: protective clothing against liquid chemicals, including permeation resistance test. AND 14404: 2004 + A1: 2010: knee pads for work in kneeling position. AND 381: protective clothing for chain saw users. AND 469: 2006 + A1: 2006: protective clothing for firefighters. EN ISO 12402: personal buoyancy devices. Lifejackets level 50, lifejackets level 100, lifejackets level 150 and lifejackets level 275.